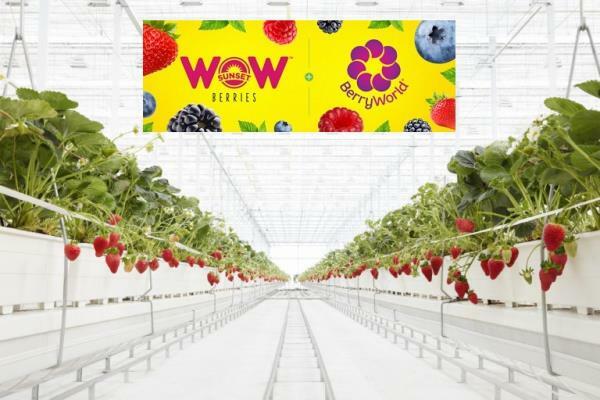 BerryWorld®, a leading berry business involved in all aspects of the supply chain, and Mastronardi Produce Limited, North America’s leading grower and distributor of greenhouse produce, have created a partnership that will “WOW™” the North American berry market. The joint venture is a significant and exciting development, as both companies share an uncompromising commitment to providing innovative, market-leading products that start with best-in-class varietal development to deliver exceptional flavor. “Following a successful track record of growth including expansion across Europe, into Africa, Asia and Australia, North America presented the next logical and attractive step in our strategy to grow the berry world. We have taken the time to carefully consider our approach in North America and are confident that Mastronardi Produce, who pioneered high tech berry growing in 2005, will be a great partner. This joint venture will combine our wealth of berry knowledge and our extensive portfolio of berry varieties with Mastronardi Produce’s recognized reputation for growing expertise, excellent customer service, their appetite and ability for scale, and their state of the art logistics platform,” said Adrian Olins, BerryWorld’s CCO. The SUNSET®/BerryWorld® partnership aims to boost the berry market.